Today something EXTRAORDINARY happened to me... 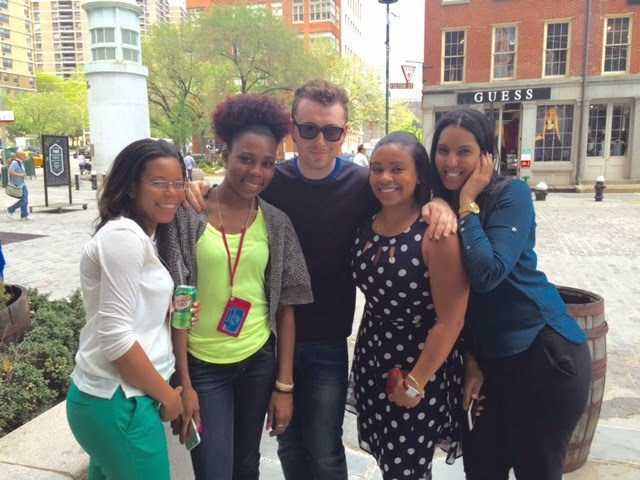 I MET SAM SMITH!!!!! Yes Grammy Award Winning, #1 album in the country SAM SMITH!!!! Living in NYC... people meet celebrities every day. But the way my co-workers and I met him was a once in a lifetime moment! 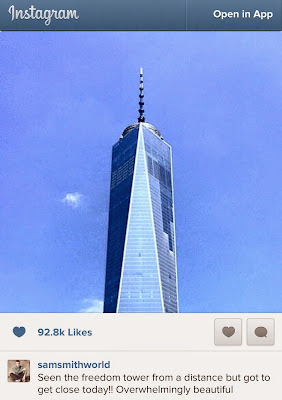 I work downtown near Brooklyn Bridge and the World Trade Center. It's a beautiful location. And now that the beautiful weather has arrived, my co-workers and I go on lunch dates about three times a week. We eat, talk about life, laugh.... it's an amazing hour of wind-down time for us. While we were having lunch today, my co-worker Ashley and I RANDOMLY got into a debate about which one of Sam Smith's songs came out first (Of course I won and now she owes me Ice cream LOL). 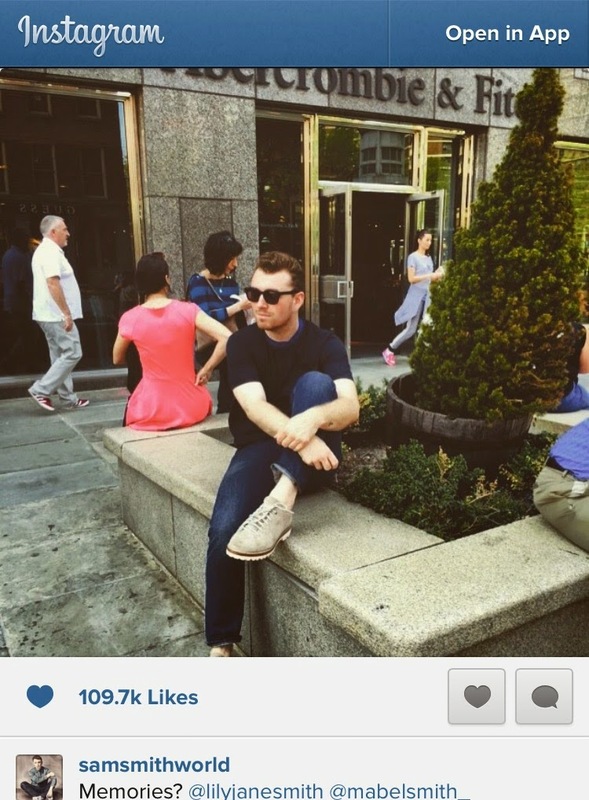 So she went on her Instagram to look his profile and was like "Guys Sam Smith just posted a pic of the world trade center..."
We were all like Really??!! What if he's down here! But of course we laughed it off because what would be the odds of that!? A lot of people take photos of the World Trade Center on a sunny day. But then like 20 mins later, Ashley was like "GUYSSSSS he just posted a pic in front of the Abercrombie and Fitch store at the Seaport!" (which was like 5 mins away from us). At that point we were like OMGGGG WHAT IF HE'S STILL DOWN HEREEEE!!!??" So we LITERALLY got up and rushed to the seaport and LO BEHOLD HE WAS THERE! We screamed and jumped up and down... we looked like star-struck school girls LMAO. Your captions make you seem like a professional stalker. Lol.